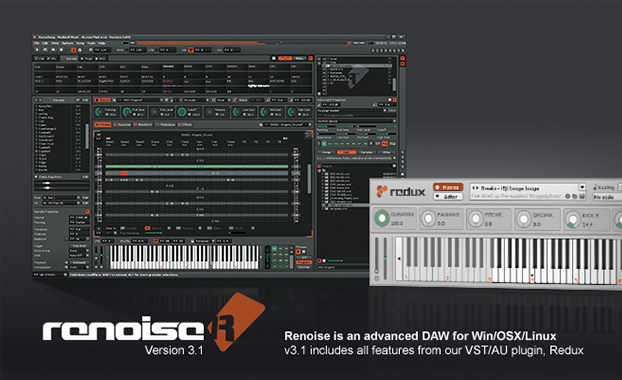 Building upon the vastly expanded sampler in Renoise 3.0, this release brings enhancements to the sound engine, as well as adding some long-requested features and workflow enhancements. As usual, you can grab a free demo version from the download page. If you are a registered user, download your personalized copy from the backstage server. Read the release notes to learn more about the release. "The family is growing". 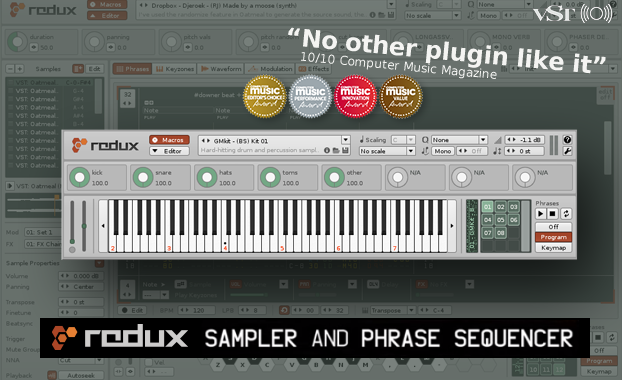 Our new plugin, Redux, is a powerful, yet affordable performance-oriented sampler and phrase sequencer for Digital Audio Workstations and other plugin hosts on Windows, OSX and Linux. This website contains a plethora of community-contributed scripts: various workflow enhancers, synthesized sound-generators, scripts oriented toward live performance, and much more. 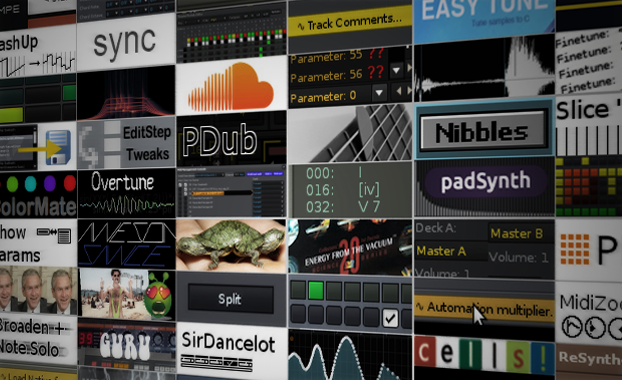 Browse the tool page to learn more about each tool, and become surprised at just how Renoise can be customized?